HOT DEALS: Creative Audio offers 'beat the budget' bargains | What Hi-Fi? All equipment is brand-new and boxed, unless otherwise stated, and includes VAT at the current rate of 17.5 per cent. 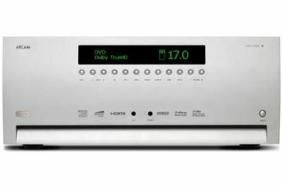 Plus you can save up to £425 on ex-demo Cyrus hi-fi kit and up to £565 on ex-demo Naim kit. These and other offers are available to view on the Creative Audio hot deals website.